Exuberant! Amusing! Pleasurable! Being an effective author is all about "show, not tell"- using descriptive writing to help the reader visualize. Add interesting word choice, and you got yourself an engaging piece of text! 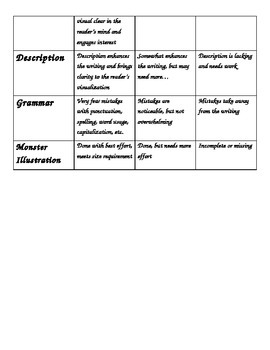 This lesson plan and activity challenges students to makeover boring sentences and turn them into more appealing and attention-grabbing texts. 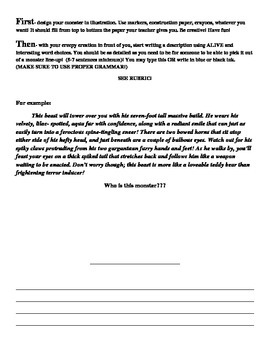 You will get a lesson plan to follow, along with a Monster Mash activity (with rubric! 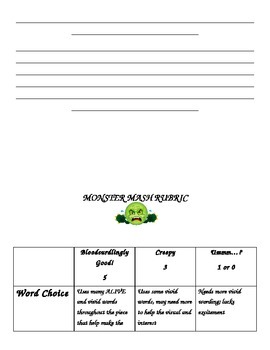 ), where students will create a monster that they will illustrate, then use that to write a description using "alive" word choices. Their goal will be for their peers and teacher to read the text and be able to pick out their monster from the "line-up". 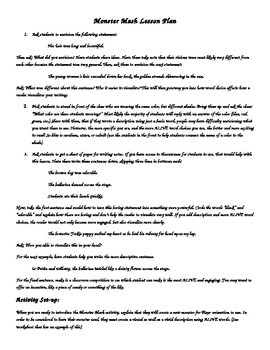 A fun way to make writing come alive and truly motivate your students!